Borers are the larvae of beetles and certain moths and only attack trees in stress. Some of the causes of tree stress include pruning wounds, high-nitrogen synthetic fertilizers, weed eater damage, sun scald, soil compaction, chemical damage and planting ill-adapted trees. Improve the soil health and the immune system of plants by using the Basic Organic Program. Run stiff wire into borer holes to kill the active larvae. Treat trunks with Tree Trunk Goop after putting put nematodes into holes. Applying orange oil to trunk where borers are active works in most cases. 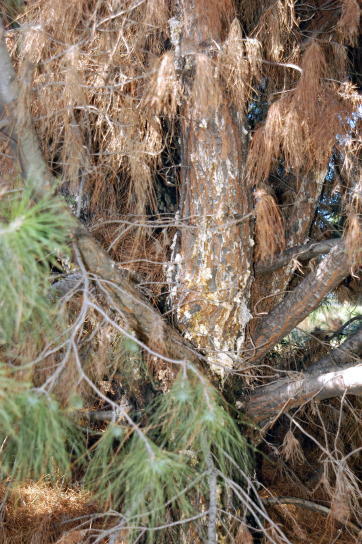 Most borers attack only trees that are stressed due to drought, injury or disease. Consequently, any means of promoting vigorous tree growth should be considered the primary approach for borer management.